Authored by filipf on Mar 2 2019, 4:03 PM. Unlike in the logout screen, our action buttons in the SDDM theme currently offer no visual feedback when interacted with. This patch adds a minimal yet effective amount of opacity shifting, as well as a transparent circle behind the button. 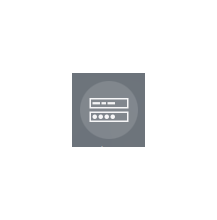 The same circle is added to logout screen, where it remains always visible to better indicate the chosen option. filipf added reviewers: rooty, ngraham, VDG, Plasma. filipf added a task: T10325: 5.16 Login screen improvements. Specifically, perhaps we should just migrate the opacity logic implemented in the the Logout screen's ActionButton subclass to the base item itself, and then remove the subclass. That way all ActionButton users would get the same hover behavior. 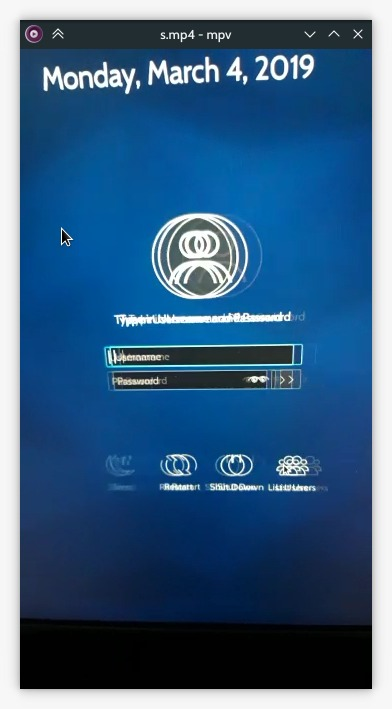 Also, if you implement the selected/hovered appearance cleverly enough, it would fix https://bugs.kde.org/show_bug.cgi?id=393048. Very interesting and tricky issue which we should try to solve. Two differences between the logout screen and SDDM though: the former is darker. (unlike 5.15, in master it now fades to pitch black, bug?) That's why it allows for the opacity of unselected items to be 0.5. That would be too faint in SDDM. But thinking outside the box, we could have other mechanisms. Embiggening though, I think would look tacky. That leaves background circles. 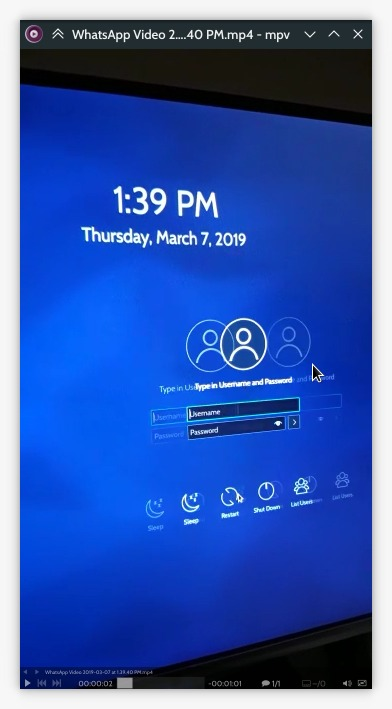 In the logout screen shouldn't do QML circles because it will interfere with other themes; at first glance seems messy to implement as well. I think it would be best if we made icons with background, but this time with a major difference: the background circle would take on textColor and could then be pretty faint. Then for SDDM we would try to match as much as possible. Then add them to Logout.qml, making sure they can fallback on regular icons with other themes. Finally we adjust SDDM's action buttons to get a QML circle equivalent (as close as possible) of those icons and behavior in the logout screen. Yep, it's more or less the same, but the background color needs to be different so we can't use those icons. On the logout screen, navigating using the arrow keys should move the background circle too. But in general I think his is actually really great. It solves the problem perfectly and it looks good. On the downside, it doesn't particularly look like the other hover effect used for any other button, including the ones on the lock and login screens. Changing this component would affect all 3 screens. The logout screen is trickier though due to key presses. This isn't bad (especially with a top margin) but I actually like the subtlety of not having the circles and having them pop up on hovering over them. How about using this style for the logout screen and the opacity 0 then 0.15 for the sddm and lock screens? The circles are fine but I'd rather not include them in the SDDM theme - the circles appearing on hover is a very fancy effect. If they're there from the getgo the SDDM theme loses the element of surprise ("Wow I didn't know it could do that!"). You mentioned something about sending in a Qt patch for this in the bug report. Could we use QtRendering to work around the issue until the patch lands? If I use PropertyAnimation instead of OpacityAnimator, the opacity problem seems to go away. Can anyone confirm? Could we use QtRendering to work around the issue until the patch lands? 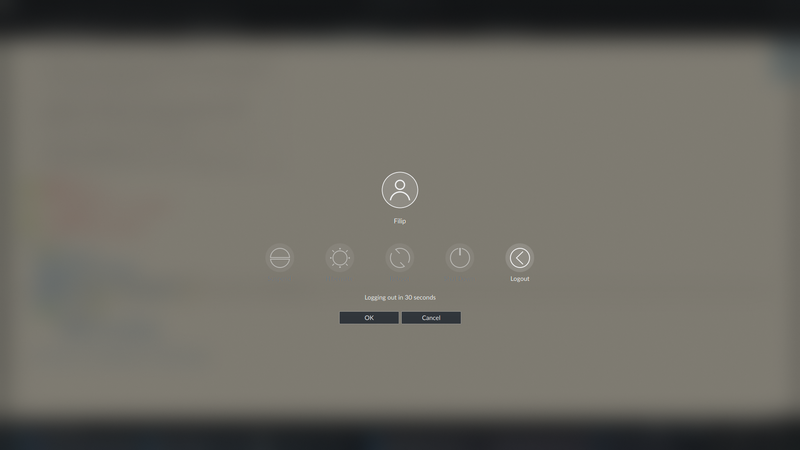 As for this diff I now also find myself favoring circles appearing only on hover in the login and lock screens. While there is merit to consistency, I don't think the buttons there are of that great of an importance as in the logout screen. We also don't need to be solving any legibility issue. This comment doesn't seem accurate anymore. This looks and feels great to me! A huge improvement IMO. And the code looks good. I really hate to be a bore but without the switch to PropertyAnimation that annoying bug (that you might not be able to notice but I am) keeps rearing its ugly head. fix comment: "intervals" -> "random intervals"
Actually fix comment: "intervals" -> "random intervals"
Anyone from Plasma have an opinion on the code or functionality? on my system, worked fine. Can you give any more details on "randomly"
These screenshots might make this problem more appreciable. I can't spot this IRL (might depend on the screen). But when you pause it I do see that "Sleep" lags behind the other buttons when switching the screens and using OpacityAnimator.